Stainless steel bowl with rubber non skid bottom strip. Stainless steel bowls are dishwasher safe, hygienic, and stain-resistant. 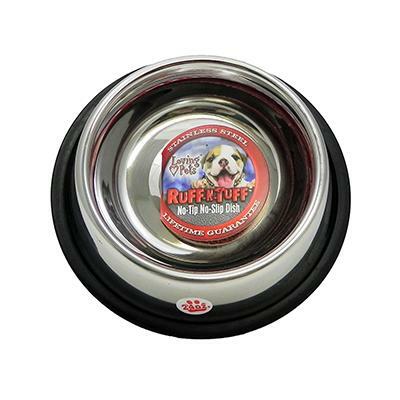 Great for dogs who like to push around their food and water dishes. Base measures 9-1/4 inches.